HomeFOOD & TREATSDog FoodNutro Natural Choice Dry Dog Food – Large Breed, Weight Management, 35 lb. Nutro Natural Choice Weight Management is a great way to help your pet lose weight and avoid associated health risks. Combined with exercise for optimum results, Nutro Natural provides your dog with complete and balanced nutrition for a healthy life. Made from quality ingredients, this meal is packed with vitamins and minerals. 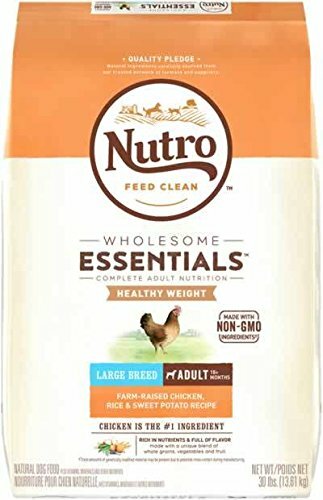 It is easier than ever to help your pet maintain an ideal weight and stay healthy with the healthy option of Nutro Natural Choice Weight Management. 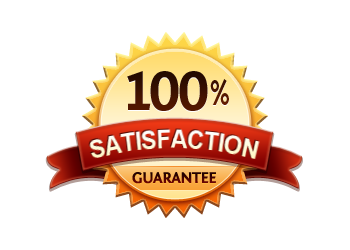 Primary Protein Source: Chicken Primary Carb Source: Chicken Analysis: Crude Protein (minimum) 18.00% Crude Fat (minimum) 7.00% Crude Fat (maximum) 9.00% Crude Fiber (maximum) 5.00% Moisture (maximum) 10.00% Linoleic Acid (minimum) 2.50% Calcium (minimum) 0.60% Calcium (maximum) 1.10% Phosphorus (minimum) 0.50% Phosphorus (maximum) 1.00% Zinc (minimum) 240 mg/kg Vitamin E (minimum) 250 IU/kg Ascorbic Acid (minimum)* 35 mg/kg Alpha-Linolenic Acid (ALA) (minimum)* 0.15% L-Carnitine (minimum)* 15 mg/kg Glucosamine (minimum)* 150 mg/kg Chondroitin Sulfate (minimum)* 100 mg/kg *Not recognized as an essential nutrient by the AAFCO Dog Food Nutrient Profiles. Amazon.com Price: $19.99 $16.52 (as of 22/04/2019 19:16 PST- Details) & FREE Shipping. Amazon.com Price: $53.99 $37.04 (as of 22/04/2019 19:16 PST- Details) & FREE Shipping. Amazon.com Price: $53.99 $31.99 (as of 22/04/2019 19:16 PST- Details) & FREE Shipping. Amazon.com Price: $64.99 $55.19 (as of 22/04/2019 19:16 PST- Details) & FREE Shipping. Diamond Naturals Dry Food for Adult Dogs, Small Breed Chicken and Rice Formula, 18 Pound Bag Amazon.com Price: $41.99 $22.39 (as of 22/04/2019 20:02 PST- Details) & FREE Shipping.